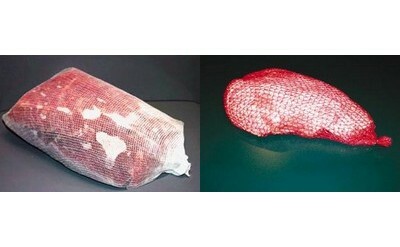 Netting and Stockinettes are available from One Stop Jerky Shop to smoke or cure ham. The poly netting is perfect for curing while the stockinette works very well for smoking all cuts of meat and it helps retain the moisture in the meat. You can dry cure a ham in the stockinette while smoking a ham in the netting.